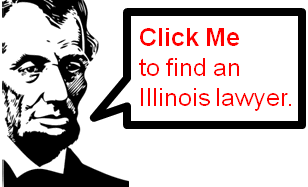 The Illinois Law Gazette’s primary purpose is to provide people information about Illinois Law. Have you ever wanted to ask a lawyer a question, but had a hard time getting a decent answer? We can help. Contributing Illinois lawyers provide free information, but don’t provide legal advice. If you want to ask a question, ask it via the “comments” after any related article, or visit the “Ask a Lawyer” page. It can be hard to find a good lawyer. You can always contact a lawyer who contributes this site, or you can visit the “Contact” page to ask for a referral to a lawyer (don’t go over your whole case, just mention the type of lawyer you need). Unresponsive Plane Over Cuba? Flown by Buckingham Properties CEO Larry Glazer? Personal Injury? Lawyer can help! Red light ticket in Chicago? Want to sue a general contractor or remodler?